Songs from Podravina cheerfully echoed this week echoed Ptuj streets which were inundated with masks from various parts of Europe. A singing group of Prapodravci brought a breath of Podravina to the fantastic atmosphere of the 57th International Carnival in Ptuj. This Carnival group performs for years on big carnival events in Croatia, Slovenia and Hungary, and their comic performances drew huge applause from the audience. A special attraction was the wooden “prataksi” which ended up in the TV show from the carnival. 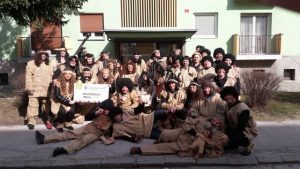 Fifty groups performed on the Ptuj carnival from Slovenia, Croatian, Germany, Belgium, Serbia, France and Macedonia who shared their joy with fifty thousand enthusiastic spectators, of which the vast majority itself was masked. Delighted with the performance of the group Prapodravci, some foreign groups have called them to carnivals in their countries. 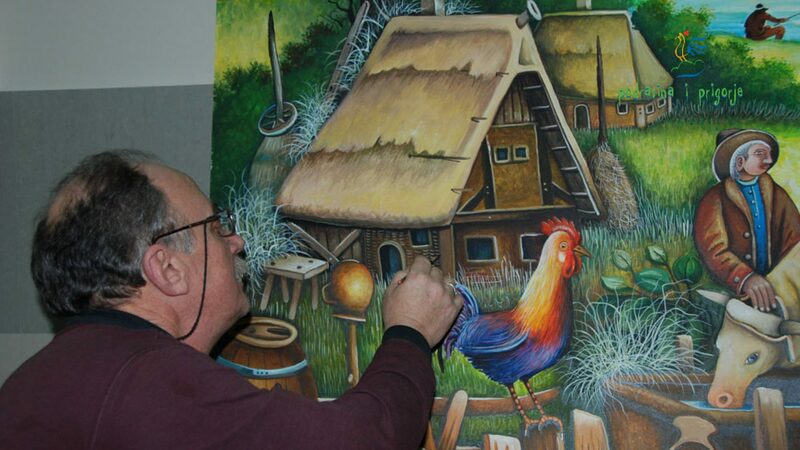 Hosting in Ptuj for Prapodravci was possible thanks to the Tourist Board of Koprivnica-Križevci.